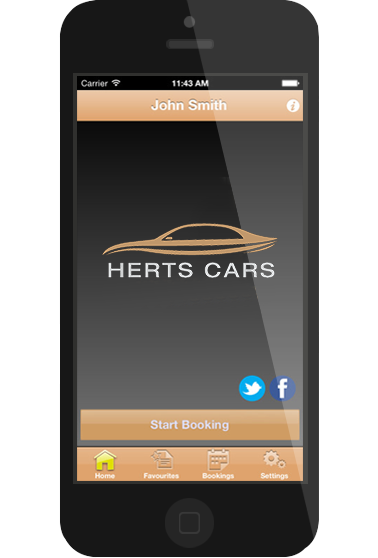 Booking a journey has never been easier with our Smartphone App. You can get quote for you journey before you book. Bookings can be made in advance or ad hock. You can change or cancel your booking from with-in the app. We will send your booking details via an email and SMS. Receipts of your journey are sent via email making it easier to organize. Our app is designed to make booking easy and takes away the guesswork required to find addresses. You can pay with Cash or Debit/Credit Cards. Our apps is free! You can get a quote for your journey before you book from anywhere and any time. No need to call the office. You can book a journey with the app. Also make changes & cancel your bookings from within the app. Receive automatic text confirmations from booking to arrival of your cab. You can pay with Cash or Debit/Credit card for your journeys. You can track your vehicle from our mobile app.